While choosing a place we were looking for a location, which would be easily accessible, surrounded by nature, flexible in service and price. This conference center is ticking all the boxes. We will have a big conference room suitable for approximately 100 people. The room is perfectly suitable for our big big circle. We have tried it! Besides the big room, we will have another 3-4 working rooms of different size for workshops. The territory also offers lots of space for outdoor workshops. The hotel offers accommodation in single and double rooms. 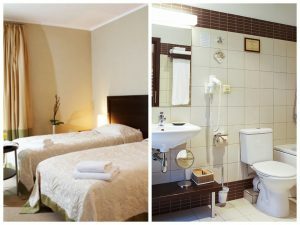 The rooms are equipped with a separate shower, toilet and towels are provided. Wi-fi network may be used for free in all the buildings. Camping – although the place does usually not offer camping services, we have arranged a possibility to place their tents for 8 participants. Those, who will camp – will be able to use the showers, WC and the swimming pool (!) in the main building. The restaurant can host up to 100 guests. During the conference the restaurant will serve us breakfast, lunch and dinner. Restaurant is ready to answer all special dietary needs. Please let us know if you have any special dietary requirements. Coffee and tea will be also served during the breaks. Hotel is locat ed on the lake shore (actually the conference center is named after the lake). 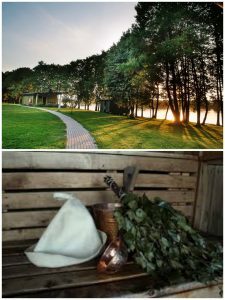 We can use the lake for our activities – rowing boats or sauna with refreshing jumps to the lake will be at our disposal. There is a spacious closed parking area in front of the hotel. 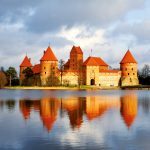 Furthermore, the conference venue is situated only 9 km away from Trakai Historical National Park – a town Trakai, which once (long long time ago) was the capital of Lithuania. A beautiful castle is attracting lots of visitors. Closest shop, ATM or other signs of civilisation are situated in Trakai town.